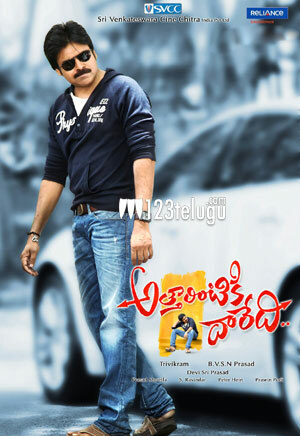 Power Star Pawan Kalyan’s ‘Atharintiki Daaredhi’ is creating history at the Box Office in Nizam. The 1st weekend share for the film has crossed the 7.50 Cr mark in this area and the first week share is expected to easily cross the 12Cr mark. This is quite phenomenal. Apart from Pawan’s fans, regular movie lovers and family crowds are also embracing the movie in a big way. Pawan Kalyan’s performance and good comedy are being cited as the key attractions for the movie. Trivikram Srinivas has directed this family entertainer and BVSN Prasad is the producer. Samantha is the heroine in the film and DSP has composed the music.